Earlier this month the search engine giant, Google, posted an update to their AdWords policies. Google AdWords is the advertising section along the top, bottom and right side of the page on google. The new advertising guidelines and policies are in regards to payday loans. 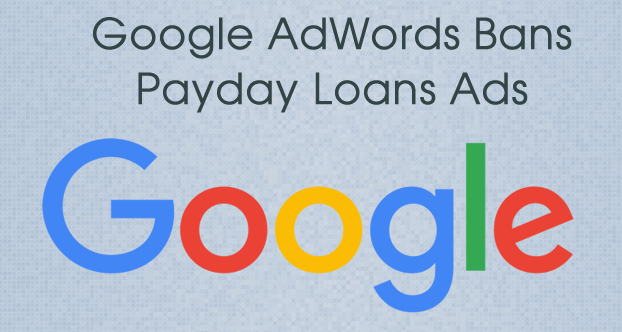 Google will now ban all payday loan advertising within their search engine. Payday Lendors Are A "Deceptive, Harmful Financial Product"
Google has defined these loans as a “ .” Google states that a payday loan is harmful because the loan is due within sixty (60) days of when it’s issued. The ban will also apply to any loan that has an APR of 36% or higher. This ban will not apply to companies that offer other loans. The loans that are not affected are mortgage, car, student, commercial loans or lines of credit such as credit cards. In the article written by Google they explain that these particular loans can result in unaffordable payments and high default rates for consumers. A payday loan is designed to be a short term, unsecured loan. In most cases the loan is set at a 14 day term. The 14 days allow for the borrower to pay it back on their next payday. However, in many cases these loans have to be renewed due to the borrower not having the money to pay off the loan on their payday. When the loan has to rollover and renewed a new fee is assessed. We have a video you can watch by clicking here on how payday loans work. There is absolutely no doubt that Google’s new advertising will cost Google a substantial amount of money. Last year payday lending paid about $35 million in advertising on the search engine giant. If you are trapped by the burden of debt and you are thinking about getting a payday loan, explore your options and call Castle Law at 816-842-6200 or click here to email us to discuss what filing Chapter 7 or Chapter 13 bankruptcy can do for you to give yourself a fresh financial start. Our consultations are free and we want to help get you back on track.